The brand-new Pagico Mobile beta has started! We are excited to announce that the Beta 1 of the new Pagico Mobile app has started and the first batch of invites were sent on November 8. 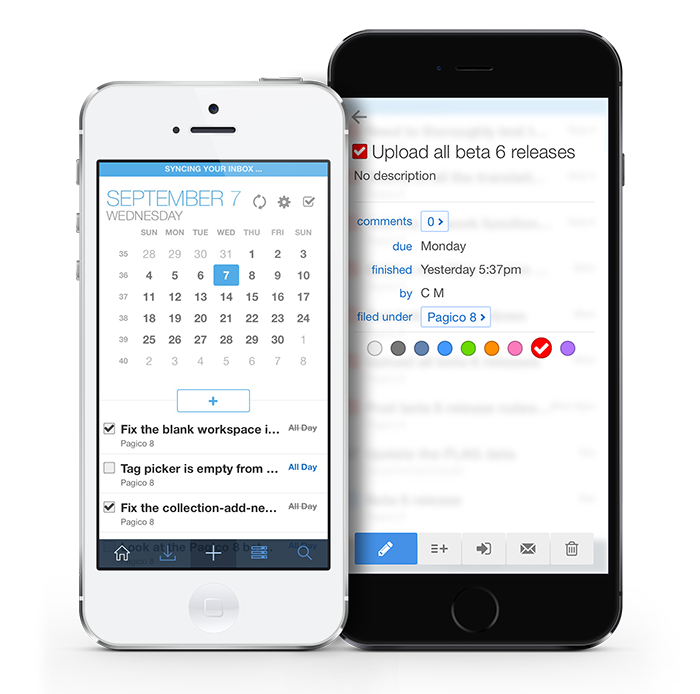 While beta 1 was iOS only, we’re planning to roll out the Android beta shortly afterwards. Thank you to all the beta testers for your participation in the beta program, and we look forward to hearing from you! Not a beta tester yet but are interested? Sign up for beta right here. 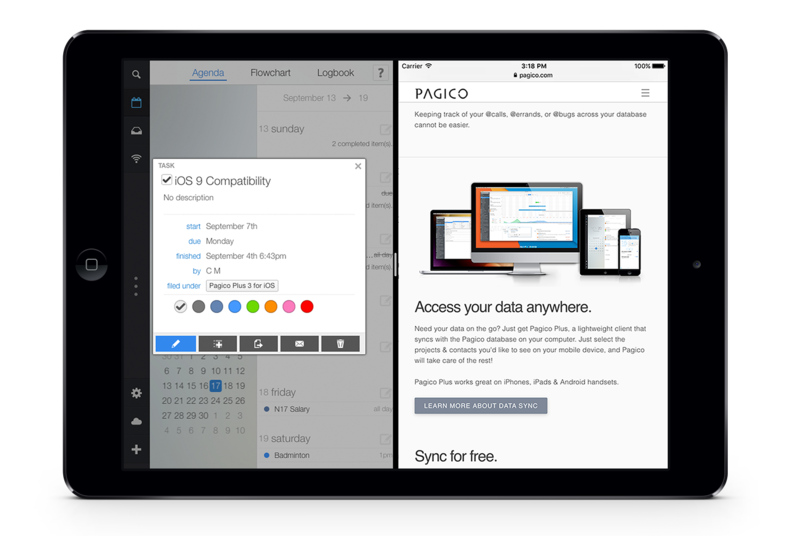 Pagico Plus 4 for iOS is here! Good morning! 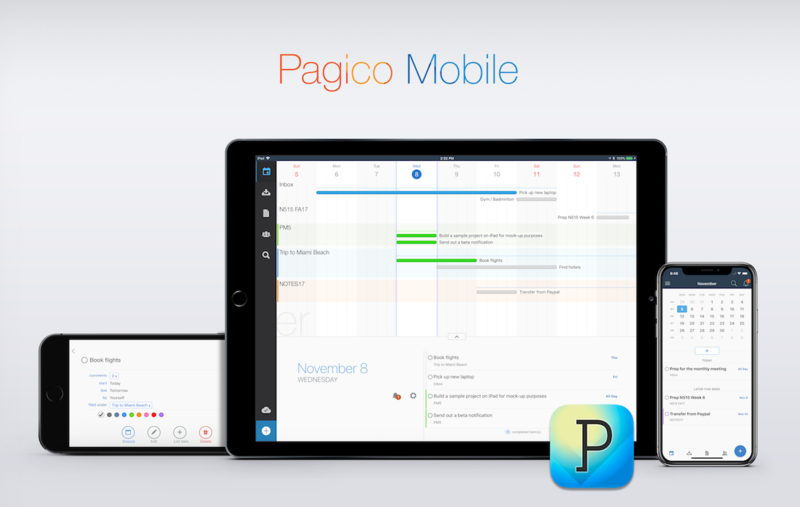 We are excited to let you know that Pagico Plus 4 for iOS is here. 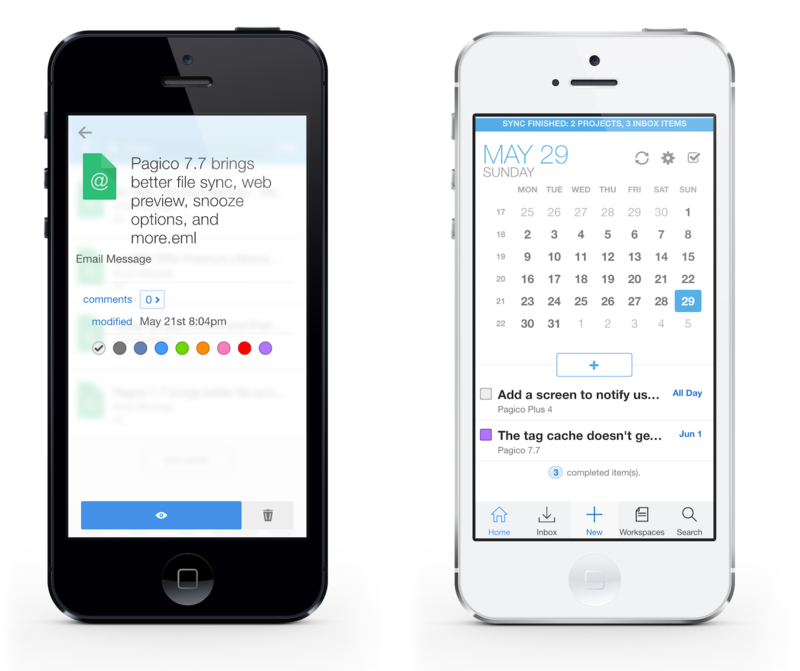 It brings better support iOS 10 as well as the upcoming Pagico 8, and features a refreshed UI design and several much-needed improvements for iPhones to improve user experience. Click here to check out the new version! We still have a lot of exciting features planned for the mobile app, including bringing the 4.0 release to Android, as well as better integration with the calendar apps on the mobile devices. We are open to ideas, too! So if you have any feature suggestions or comments, be sure to let us know! Pagico Plus 4 is coming! With a redesigned UI for iPhone, Pagico Plus 4 looks super sharp and brings lots of under-the-hood improvements. After months of development, we’re happy to announce that Pagico Plus 4 is ready for beta testing. If you’re interested in getting early an access, just let us know and we’ll loop you in for the beta! The Android version will follow. We’ve been busy… 🙂 Stay tuned for more exciting details. 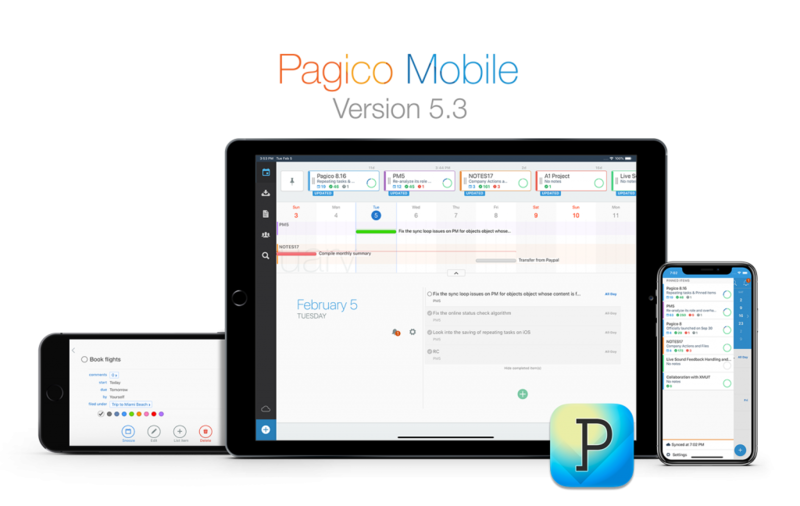 Multitasking is a huge deal in the newly released iOS 9, so we worked hard to let Pagico Plus take full advantage of the new Split View and Slide-Over features. Just finished testing, Pagico Plus v3.3.1 has been submitted to Apple for review. ETA is around September 25. This is exciting! Please note: The Split View mode is only available on iPad Air 2 or newer models, while the Slide Over works well with older iPads. Both features are only available in iOS 9.